Coming September 8, 2018. Ride through the High Sierra! 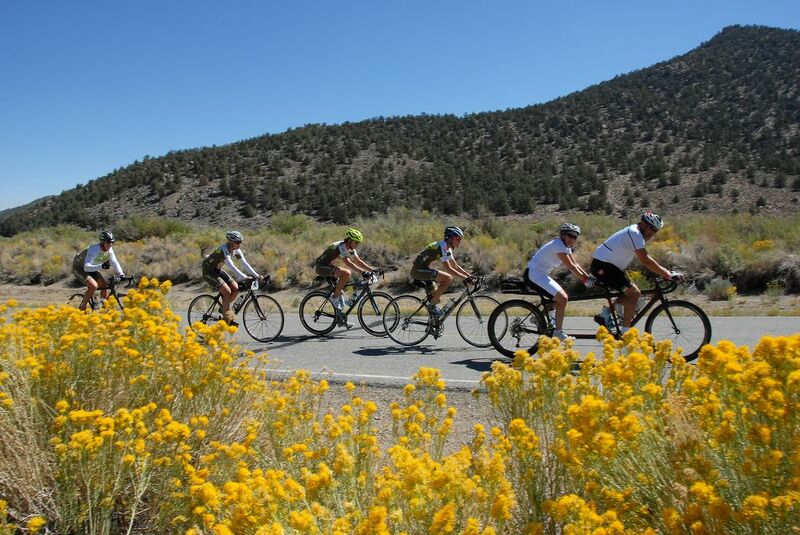 The Mammoth Gran Fondo takes you through some of the most scenic vistas in southern California. This competitive road biking event consists of 3 distances: the 102 Mile Gran Fondo, 70 Mile Medio, and 42 Mile Piccolo. Starting and finishing in the Village at Mammoth, expect a challenge with 6,643 feet of elevation gain in the 102-mile route, but 75 miles of that route will be closed to traffic, and there will be 6 well stocked aid stations with fluids, snacks, and special themed treats, a light lunch mid-way, plus full SAG and tech support. Post-race, celebrate with a buffet, live entertainment, expo, and complementary ride photos. Ride High (High Sierra that is!) at the Mammoth Gran Fondo!